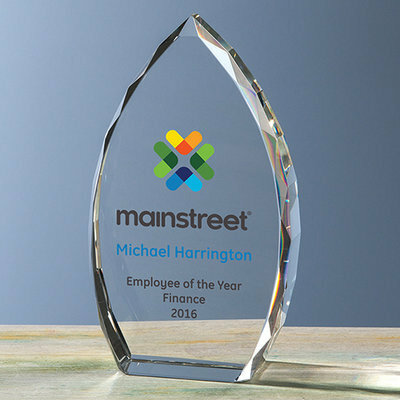 Truly a vision in optical crystal, our Faceted Point Award features a unique shape with a stunning beveled edge. Available in two sizes, these stunning awards are also a great value. Each personalized piece comes packaged in an attractive presentation box.